This article explores additional servo motor sizing considerations and the often-resulting communication issues that may arise for an application requiring a dominantly maintained load with little movement through an in-depth explanation of the term: Stall, as typically utilized in the servo motor industry. This information is then utilized relative to the axis’ effective RMS force/torque calculation for proper motor sizing. 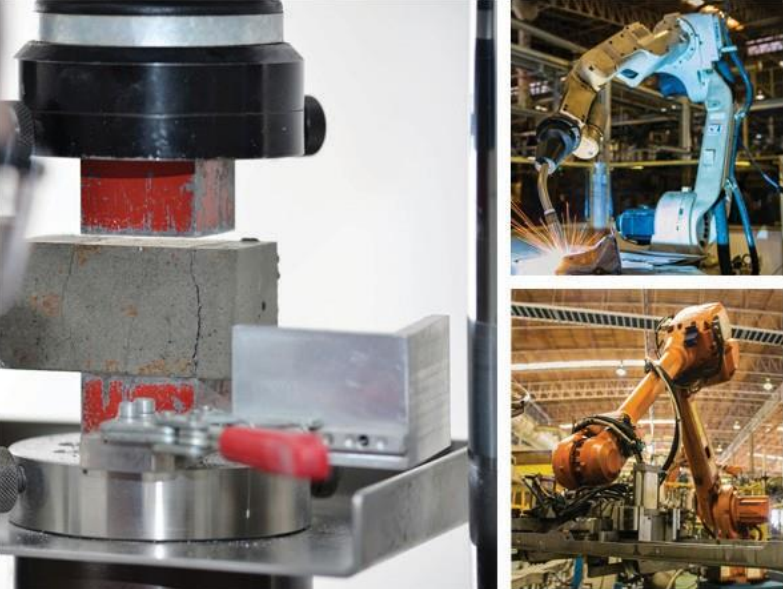 In this white paper written by Robotics Business Review and Kollmorgen, the benefits of going with a frameless motor design - such as efficiency, system bandwidth and a smaller footprint - are explored. Producing wholesome quality food is challenging work. In addition to designing and manufacturing creative and tasty products, a laser focus on food safety is necessary for food processing companies to survive and thrive. 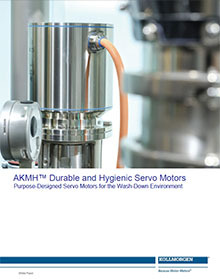 Effective sanitation of machinery and facilities is critical in the production of safe food products. 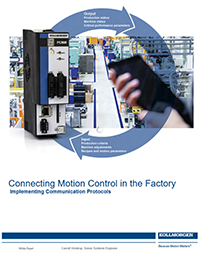 The need for Ethernet-based communication within the factory has grown over the last 10 years. Detailed information about the tasks and performance of machines at every stage is critical to productivity. 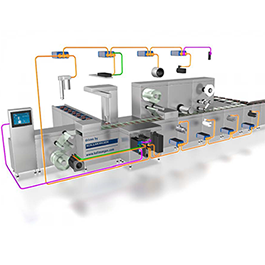 As capabilities have expanded from performance reporting to predictive maintenance warnings and beyond, the need to connect multiple controllers within the same machine and elsewhere in the factory has also grown. When intermittent power density is of a required high value, you may not want to use classic RMS calculations and speed-torque performance curves as your only method to select a servo motor and drive. Doing so might cause an under-sizing of the motor or drive. Sizing and selecting a servo motor system for a machine design begins by understanding the components that make a servo motor or servo-drive system. Servo systems are closed-loop, controlling some desired motion. They incorporate a feedback device that provides constant information between the motor and drive to precisely control position, speed and torque to the mechanism being driven. Direct Drive servo motor and drive technology not only reduces an axis’ parts count, mechanical losses and often its objectionable noise; Direct drive technology also increases a machine’s efficiency, lowering operation cost for the user due to its inertia ratio, as compared to the more common mechanically advantaged multi-body axis designs. Reducing the mechanical transmission components such as gearboxes, timing belts, pulleys, cams, lead screws and so on, between the motor and its load is only part of the savings! Engineers are juggling a lot these days. Many find themselves focusing on just getting a machine running so they can move on to other pressing matters at hand, but when it comes to Motion Control “good enough” just isn’t good enough anymore. Food and beverage companies and their machine suppliers constantly fight to keep our food supply safe. These microscopic battles are fought with large quantities of water and chemical sanitation processes. 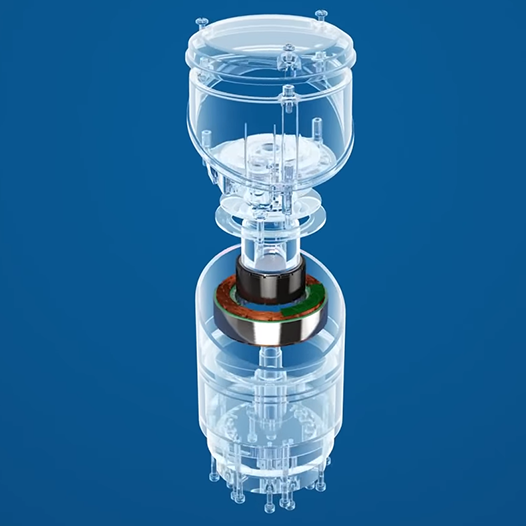 Hygienic machine design is critical even down to the sub-component level in order to allow these processes to be effective in removing product residues, removing pathogens, and destroying bacterial intruders. Centralized or Decentralized: Which Architecture Type Delivers the Best Technical and Commercial Advantages? 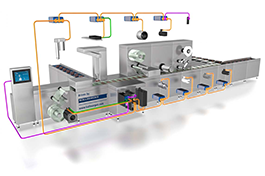 Decentralizing servo technology can bring machine and plant construction savings during installation. Two additional advantages include reduced cabinet heat loads and more straight forward drive architecture. The question arises however, which technology is better, an integrated motor/drive solution or a detached motor and drive?